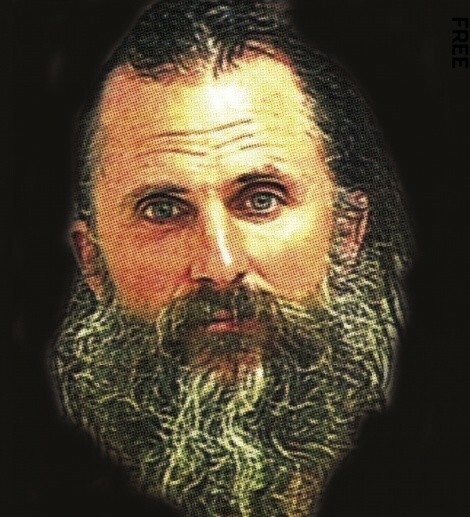 To put God’s house in order, Brian David Mitchell needed to kidnap a virgin bride. Temple Square attracts religious wackos like moths to a flame. They stand outside the wall yelling condemnations, calling for repentance, quoting from the Bible. Or they pose quietly in costumes, such as the young man with his face painted silver and dressed as Little Bo Peep. Or Worm, who sat naked below the Brigham Young statue with the letters W-O-R-M tattooed across his forehead. Or Brian David Mitchell, the man who dressed like Jesus Christ and stole 14-year-old Elizabeth Smart from her bed in the middle of the night. We knew him as a temple moth and thought he was crazy but harmless. This is why we didn’t suspect him, even when he walked around downtown with Elizabeth in tow, her face covered by a veil. It’s about the strangest thing that’s ever happened in Salt Lake City, and it could only have happened here, in this place and time, perhaps caused by the aura emanating from the temple itself. So opens the 27-page prophecy of Immanuel David Isaiah, the name Mitchell adopted once he realized he was the messenger of God, the new prophet on Earth. In the prophecy, God proclaims Immanuel to be “the one mighty and strong” called to set his house in order before the apocalypse, a task requiring the aid of seven times seven virgin wives, plus one. His legal wife at the time, Wanda Barzee, carefully transcribed the prophecy in longhand and made copies to circulate among family and friends. 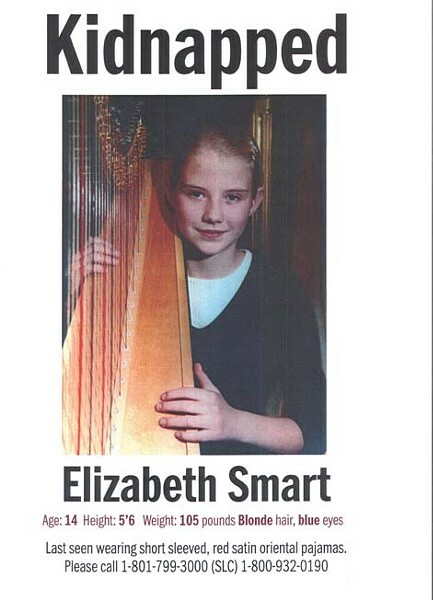 Then, on June 5, 2002, they abducted their first virgin, Elizabeth Smart, and took her, on foot, up into the hills above her home in Federal Heights, where they had a camp in some scrub oak. There, that first night, Mitchell performed a sacred wedding ceremony, and then he raped her. She was gone for nine months. A man took Elizabeth from her bed. It was the beginning of summer and unusually hot, the air above the valley standing still, loud crickets in the backyard that would not shut up. A valley of hearts cracked open. Thousands of volunteers combed the neighborhood, looking in window wells, going through stacks of wood. They covered the foothills in broad lines, calling her name. I didn’t volunteer because I didn’t think I could handle that part, hearing her name called out. The police arrested a suspect, Richard Ricci, but the poor man died while in custody from a ruptured artery in his brain. He didn’t take Elizabeth; no one but the police thought he was the guy. Through the summer, Elizabeth’s photo hung in every window of every shop and on every lamppost. Her father and her family appeared regularly on local, national and international news programs, begging and weeping for her safe return. It seemed she was hidden somewhere far away, somewhere just beyond the broadcasting spectrum, or like in The Wizard of Oz where Dorothy’s family calls to her through the crystal ball. Then, when she was found nine months later, on March 12, 2003, we realized she’d actually been right here in front of us, walking around downtown, reading in the library, eating in fast-food restaurants and going to parties with Mitchell and his wife, Wanda Barzee. From June until August, they hid out in their camp in the scrub oak up in the foothills, avoiding the search parties. Then they began coming down into the city by day, passing within a quarter-mile of Elizabeth’s home. 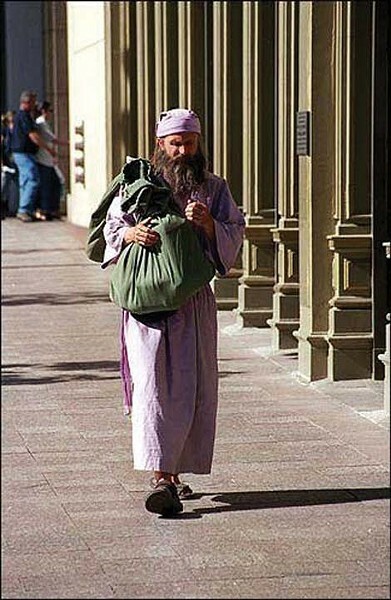 They walked the streets dressed as religious pilgrims from the New Testament. Mitchell had a long beard and a walking stick. Elizabeth and Wanda covered everything but their eyes. And no one figured it out. You’d think it wouldn’t be so hard to answer these questions, but for us it’s like groping about in a dark room—we know the answers are here, but we just can’t find them. Or, actually, it’s that we don’t even want to ask the questions, because we know the answers don’t make sense, at least not to the rational mind. Yes, we’re uncomfortable with the questions and the answers because they don’t make sense in a court of law. They only make sense in and around the temple. To understand how this works, we need to go back in time, back to the beginning of the Mormon Church. When Joseph Smith was a boy, circa 1820, his family moved from New Hampshire to the “burned-over district” of western New York. The area earned this name because it was so full of Christian evangelists preaching revivalism as to have no fuel (people) left to burn (convert). Joseph, age 14, went to the woods, knelt down, and began to pray to God, asking Him which religion is true. God appeared to Joseph as a light brighter than the sun and told him all religions had become corrupted, and that he, Joseph, had been chosen to be the new prophet and restore the true gospel. Ten years later, in 1830, Joseph published the Book of Mormon, establishing a new church and a new people, the Latter Day Saints, or Mormons. Lots of people at the time—living on the frontier, surrounded by stumps and mud, so alone on the big continent-thought it was a good idea. Joseph’s followers began speaking in tongues and healing the sick and having visions and revelations. They pitied members of other faiths who did not have these experiences, and thought this alone was proof Joseph Smith had indeed restored the gospel on earth. Everything went fine until Joseph’s right-hand man, his “assistant president,” Oliver Cowdery, began speaking directly to God, our Heavenly Father, and God told him that Joseph Smith had become corrupt and now he, Oliver Cowdery, was the new prophet who held the keys to the kingdom of heaven. Joseph responded by saying Cowdery had not been speaking to God but to Satan, and he excommunicated him. After that, Joseph prophesied that a member of the church can only receive personal revelation concerning matters within his own “stewardship,” his own domain of authority and control. Therefore, if a man has a wife and children, he may receive revelation from God concerning decisions he must make about his wife and children, and they must obey him, just as he must, in turn, obey those men in higher positions of the church hierarchy, all the way up to the prophet, who has stewardship over every member of the church.